I love my home state and I am so proud of my roots. I am sure many of you feel the same way. 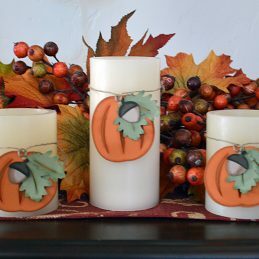 This collection is the perfect way to show your home pride for fall so that no matter where you are, you can show that a little bit of your heart will always be back home. 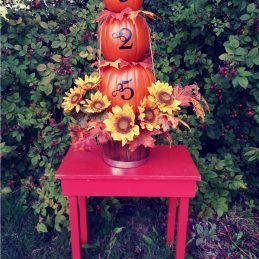 Each state is displayed wrapped in a beautiful paisley-style pumpkin. I love the idea of this on home decor. I also think it would make a beautiful custom shaped card. 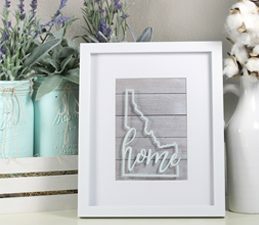 What about putting your home state, your spouse’s home state, and your current state in a three photo frame? The hearts are over top of the state capitol but feel free to move them around so that it sits right over top of your home town. 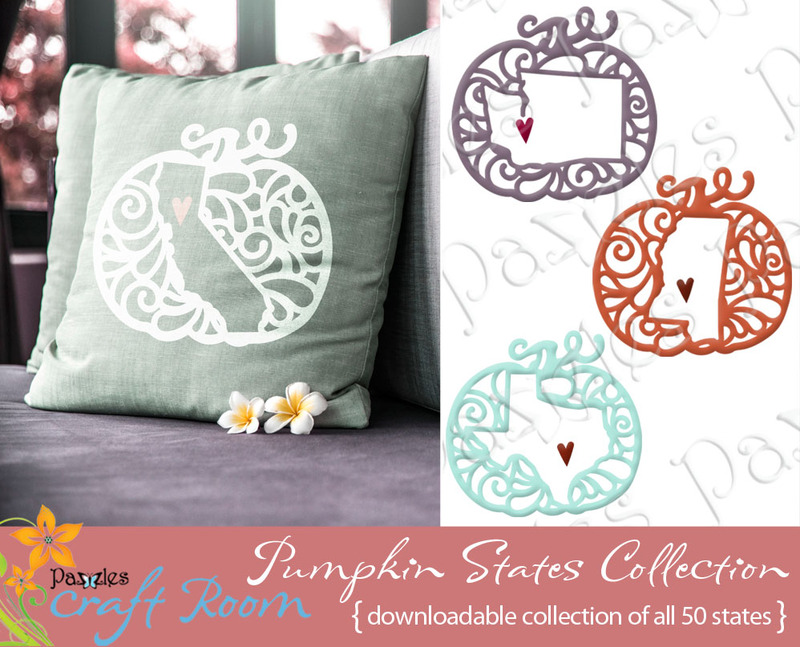 All 50 states are included plus one blank paisley pumpkin for a total of 51 designs! 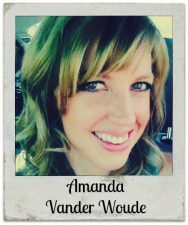 As with all our collections, each file is included as an AI, SVG, and WPC file so that you can use it in virtually any cutting software program. Have you tried our screen printing method yet? This would be the perfect project to try it out on! Here are videos to show you how! 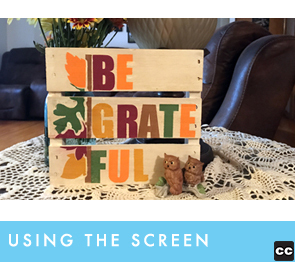 You will learn how prepare your screen in the software, then cut it out and get it all ready for the screen itself. Now that you have prepared and cut out your screen, I will show you how to use it with your paint.